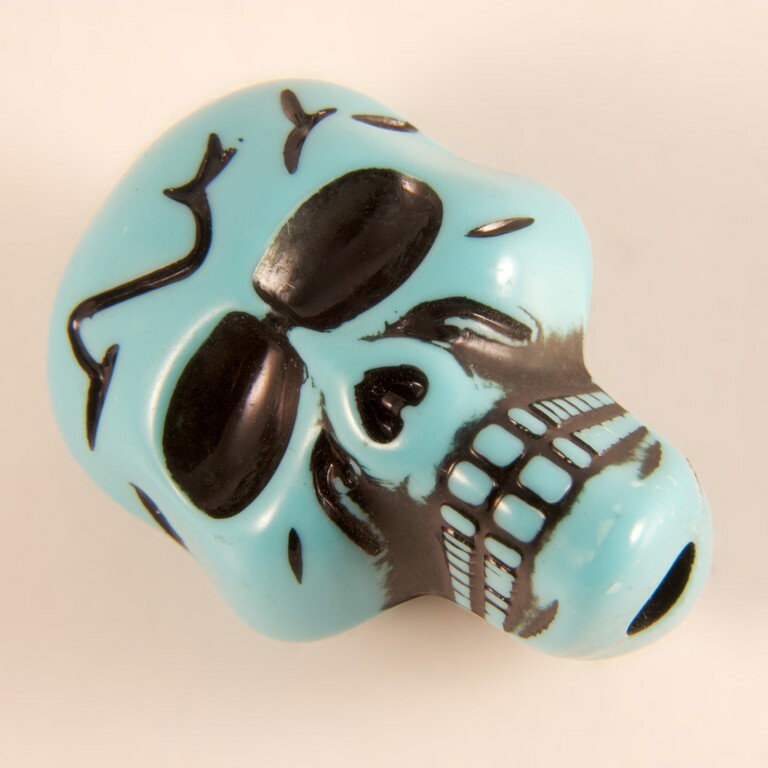 Acrylic skull in light blue color. It has through hole and can be passed in 3mm cord. Dimensions (2.5x2cm).